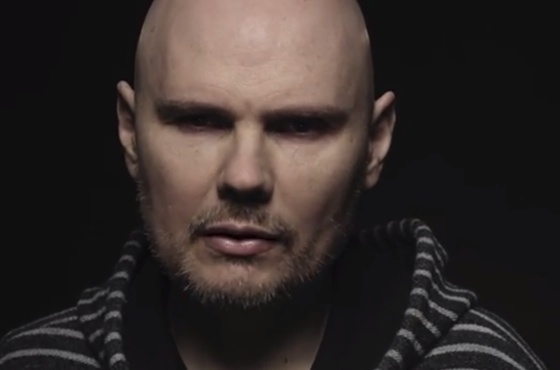 Billy Corgan Doubles Down on Shapeshifter Claims: "It Happened Twice"
The Smashing Pumpkins leader says "the story is even more fantastical than you think"
Back in October of last year, Billy Corgan claimed he had seen a shapeshifter during an appearance on The Howard Stern Show. It wasn't him getting in the Halloween spirit either — Corgan was dead serious, saying, " I saw a transformation that I can't explain...I was not [on drugs], I was totally sober." Now, Corgan returned to Stern's show on Tuesday (June 12) to double down on the claims with his Smashing Pumpkins bandmates in tow. When asked by the host about the otherworldly experience again, Corgan said, "I know it happened. In fact, it happened twice." "I will say, since we're on radio, that the story is even more fantastical than you think," Corgan continued before indicating that the story might be a better one to tell off the air. When pressed by Stern for more detail, Corgan said, "The person was naked." "A person was naked," Corgan responded. Stern then asked, "Are you saying it was a lover who shapeshifted," to which Corgan replied, "I can no longer discuss this." Every time I talked to her on the phone she was absolutely lovely, she was sweet, she said things she'd never said to me, she complimented me… So I'm dealing with somebody who seems to me to be like the grown up version that we are now, so I was thinking, 'Okay, this is possible.' But every time I would address logical concerns like, 'Well you haven't been on stage in 19 years. You haven't been in public in 19 years, are you going to be okay with that? ', she would just kind of brush it off. Corgan went on to explain that he could not get any sort of real commitment from Wretzky for the reunion. "She just didn't like the way it was set up. I'm not here to talk about that, per se, but it wasn't unfair," Corgan said. "It wasn't ridiculous. Every time I tried to explain the constructs or things involved, she just didn't want to hear it." He added, "I know this sounds strange, but I didn't want to put her in a position where she would look bad or fail. So it was coming from a place of I want to make sure she's protected in this situation." You can hear the conversation about Corgan's potentially sexual extraterrestrial encounters, as well as his comments about Wretzky, in the players below. As previously reported, the Smashing Pumpkins' North American tour kicks off in July. You can see all the dates here. You can also listen to their new song "Solara" over here.